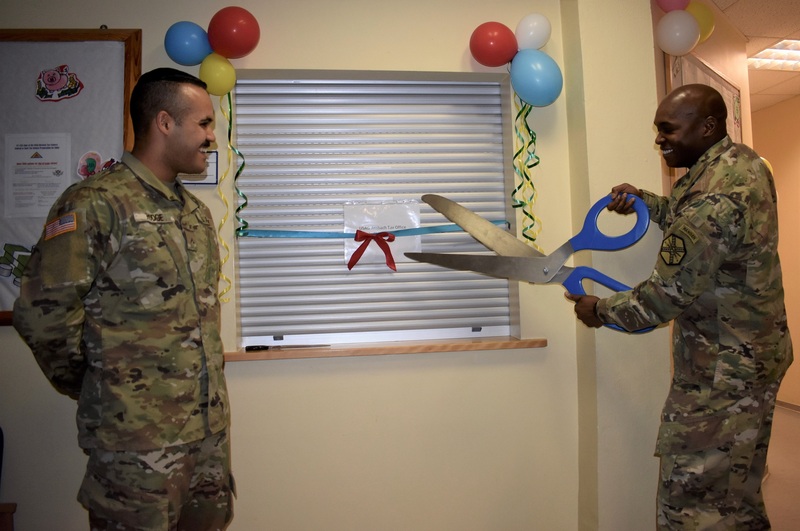 ANSBACH, Germany (Jan 29, 2019) – The Tax Center at Katterbach Kaserne opened its doors yesterday to provide services to eligible community members of U.S. Army Garrison Ansbach. The tax service support is limited to service members, retirees, and Department of the Army civilians who make $54,000 or less, before adjustments and exclusions. USAG Ansbach’s Command Sgt. Major Philson Tavernier spoke during the grand opening, pointing out the value of the tax center to community members. “The services being provided here shows the importance the Army places on taking care of young Soldiers and their families,” Tavernier said. Tavernier said that last year the Ansbach Tax Center saved its clients more than $250,000 in tax preparation fees and earned these clients some $1.6 million in refunds. Swaim reminded community members to ensure they have all necessary paperwork, identification and legal documents. Appointments can be made Monday through Wednesday, from 9-10:30 a.m. and 12:30-3:30 p.m. and Fridays from 9-10:30 a.m. and 12:30-2:30 p.m.; walk-ins are accepted Thursdays from 9-10:30 a.m. and 12:30-3:30 p.m.